No allegation against Russia made during the past few years has been confirmed with solid evidence, giving birth to the notorious “highly likely” political meme. Theresa May has told MPs to "hold our nerve" to force the EU to renegotiate a critical element of her Brexit deal. Currently Britain is set to crash out of the EU on 29 March, without any deal in place. MOSCOW (Sputnik) - The chief of the UK Secret Intelligence Service (MI6), Alex Younger, will deliver a rare public speech on Monday, during which he will reiterate a batch of London’s accusations against Russia and urge it not to “underestimate” the United Kingdom and its allies, according to excerpts of his speech in the UK media. 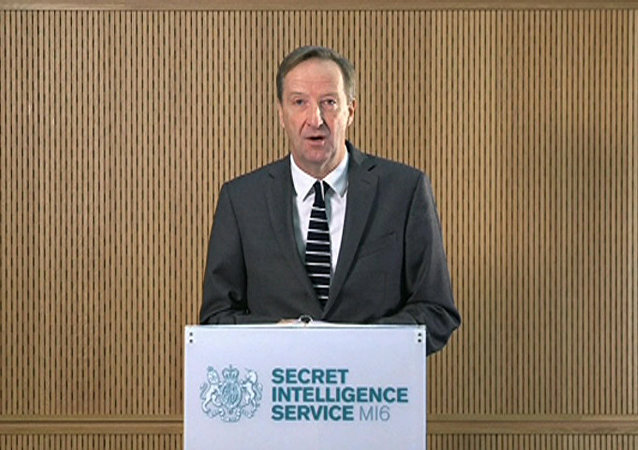 UK Foreign Secretary Philip Hammond announced Friday that the next Chief of the Secret Intelligence Service (SIS) also known as MI6, will be Alex Younger, a former British Army Officer and economic graduate.